Need to get away for a day? These popular destinations are perfect and not too far from major attractions. Better yet, when gas prices go up, you can often make the trip on just one tank of gas. Visit a museum. Florida's museums and science centers offer interactive displays and a glimpse into the art and history of the state. Some are even free. Visit an aquarium or zoo. Animal parks, aquariums, and zoos provide a glimpse into Florida's sea creatures and wildlife. Take a cruise. There are a variety of day cruises, including casino, dinner, and themed, that depart from ports throughout the state. Take in a festival. There are special events and festivals going on throughout the year across Florida. Whether you go for arts and crafts, special entertainment, or simply for great food, these are great daytime fun. Spend the day at an attraction. There are so many great attractions in Florida that can be enjoyed in a day. Stroll through gardens. Florida is well known for its beautiful foliage, and its gardens are well known as great places to visit. Of course, don't forget about visiting the beach or a state park, renting a watercraft, grabbing a golf game, or catching a wave at one of Florida's great water parks. Bok Sanctuary: Gardens, Belltower, and Estate, Lake Wales - The historic Bok Tower is set amid beautiful gardens on Central Florida's highest point in Lake Wales, Florida. The carillon tower is among the finest belltowers in the world and can be heard daily throughout the sanctuary. Dinosaur World, Plant City - They're baaack! And, they're life-size! If you've got a kid that digs dinosaurs and you're traveling I-4 to Tampa, then this is a must-stop. LEGOLAND Florida, Winter Haven - Families with children will especially enjoy this land of bricks and blocks that will certainly take even the oldest member of the family back to his or her childhood. Spook Hill, Lake Wales - No admission, but plenty of spooky fun when you realize your car is rolling backward... uphill. Is it real or just an illusion? Try it, and see for yourself! Cassadaga - Home of Spiritualists who believe they can communicate with the dearly departed, Cassadaga is historic and unusual but hardly spooky or scary. It is just minutes from Orlando in Central Florida. Green Meadows Farm, Kissimmee - Looking for a way to slow down from the hustle and bustle of the area theme parks? Green Meadows Farm offers hands-on participation at this part working farm and part tourist attraction located in Kissimmee near Orlando. Lakeridge Winery & Vineyards, Mount Dora - You don't have to go all the way to California to visit a winery. Believe it or not, Florida has several. There is one in Central Florida that has grown over the last 15 years to become the largest in the state. Renninger's Twin Markets, Mount Dora - You'll see why Family Money named Renninger's one of the Top 10 Flea Markets in America. It's twin is an antique market. Both are located side-by-side about 20 miles northwest of Orlando on US Hwy 441. SeaWorld Orlando - The world's premier marine adventure park with world-class shows, thrilling rides, and unforgettable animal encounters. Discovery Cove - Experience the most exciting animal encounters: swimming with dolphins, playing with stingrays, and coming eye-to-eye with sharks and barracuda. Silver Springs - Explore Florida's first nature theme park and water wonderland that is now part of the Florida State Park system. The Orlando Eye - Towering an impressive 400 feet over Orlando's International Drive, this observation wheel provides spectacular views along with a unique experience. Universal Orlando - It's not just an attraction anymore... it's a resort too! Wet'n Wild Orlando - Orlando's most exciting water park offers the best variety of multi-passenger rides. Tiny tots love the elaborate Kids' Park, featuring kid-sized versions of the park's most popular adult rides including the Surf Lagoon wave pool. WonderWorks Orlando - Spend a whole afternoon at Orlando's upside-down attraction offering indoor education disguised as entertainment. Disney's Animal Kingdom - From the moment you step into Disney’s Animal Kingdom, you realize this is neither your typical theme park nor your typical zoo. Disney's Magic Kingdom - The classic theme park experience that puts the "magic" in Disney. Disney's Hollywood Studios - Experience a world with glitz, glamour, and the excitement of show business. Epcot - It's like two worlds in one! Future World celebrates technology while the World Showcase celebrates international heritage. Disney's Blizzard Beach - Where in Florida can you see snow everywhere but the only ice is in the soft drinks? At Blizzard Beach, of course! Disney's Typhoon Lagoon - Modern-day Swiss Family Robinsons immerse themselves in a day of adventure in a water playground that looks like it was left behind by a great storm. DisneyQuest - Cutting-edge virtual reality technology and classic Disney imagination await guests when they step inside DisneyQuest, a five-story, indoor interactive theme park. Disney's Wide World of Sports - Tour one of the world's premier sports destinations for athletes and spectators alike, or attend one of the many games and practice sessions held there annually. Disney Springs - Unique shopping and dining combined with great entertainment opportunities makes this a wonderful place to spend the day. Special Events - Walt Disney World holds several special events throughout the year. Any of them make nice excuses for day trips to Disney. The Overseas Highway - Take your time on this scenic drive and pull over at the overlooks for an amazing day. Sunset Celebration - Florida's sunsets are spectacular, and people in Key West think that is reason enough to celebrate! The Little White House in Key West - Harry S. Truman spent so much of his presidency in this house located in Key West that it was nicknamed The Little White House. Flamingo Gardens - South Florida's number one botanical gardens and wildlife sanctuary. Jungle Island - There's a jungle right in Miami's back yard! It's home to more than 3,000 exotic animals and 500 species of plants, and it's a great place to spend an afternoon. Lion Country Safari - Drive yourself wild by experiencing the thrill of a real safari from the comfort of your own air-conditioned car. Encounter lions, African elephants, chimps, giraffe, and many more "wild things." After you park your car, Safari World will bring out the kid in you with its adventures and more animals. A1A Scenic and Historic Coastal Byway - Both history buffs and those seeking recreational opportunities will enjoy this 72-mile stretch of highway that offers a unique journey and showcases Florida's natural beauty and important historic landmarks. Astronaut Encounter Program - Are you a space fan? Now you can come face-to-face with a real astronaut at the Kennedy Space Center Visitor Complex – you can even dine with an astronaut! Castillo de San Marcos National Monument, St. Augustine - Tour one of the oldest structures still standing in America. Downtown Fernandina Beach - Downtown Fernandina Beach, a once-vibrant, Victorian seaport village is now postcard perfect with rows of shops that house a treasure trove of antiques and collectibles as well as an eclectic assortment of boutiques and restaurants. Daytona Beach - Big beach is big fun for all ages. Daytona Lagoon, Daytona Beach - Daytona Lagoon is an adventure park in Daytona Beach, Florida that provides water play, go karts, laser tag, an arcade, and much more! Fort Clinch State Park, Amelia Island - Step back into the 1800s with a tour of the fort. St. Augustine - Old World charm, historical monuments, unique attractions, world-class shopping, and beaches just minutes away. Choose any of the many attractions and things to do for a great day away! St. Augustine Lighthouse & Museum - Climb the 219 steps for a bird's-eye view of the old city and coast. St. Augustine Pirate & Treasure Museum - See authentic artifacts and real treasure. It's a perfect destination for those pirate fans in the family. World Golf Hall of Fame - Through a combination of both traditional and interactive exhibit areas, the World Golf Hall of Fame educates and entertains while paying homage to the game's greatest players and contributors. If you love golf and you're near St. Augustine, it's worth the visit. Busch Gardens Tampa Bay - Tampa's premier attraction features a unique blend of thrilling rides, lush gardens, and free-roaming animals. Caladesi Island State Park - Caladesi Island State Park, accessible only by ferry, consistently ranks among America's top beaches. Cedar Key - Take a stroll down the boardwalk, and enjoy fresh seafood or fish from the pier. If laid-back is your style, then this is your kind of place. 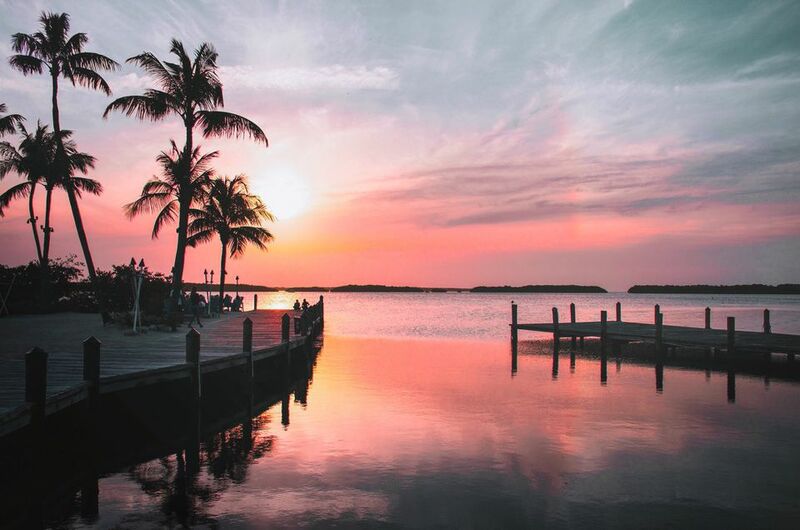 Cedar Key is located on the West Coast and approximately three hours from Tampa Bay. Edison-Ford Winter Estates - The Fort Myers winter homes of both Thomas Edison and his neighbor Henry Ford are open to visitors all year. 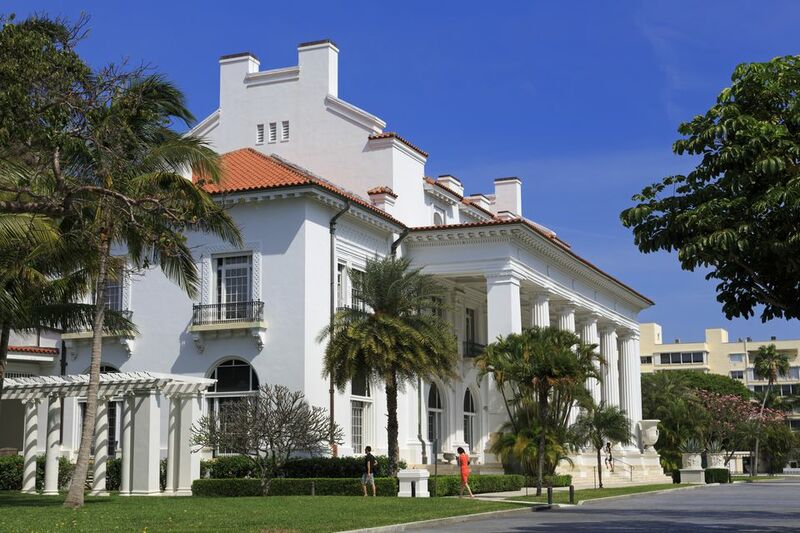 Tour the homes and lush tropical gardens as well as Edison's laboratory and artifact museum. It's a great way to spend part of a day if you're in the area. The Florida Aquarium, Tampa - A cool way to "sea" life. Gamble Plantation Historic State Park - The antebellum mansion in Ellenton is the oldest building in Manatee County and the only surviving antebellum mansion in South Florida. Homosassa Springs State Wildlife Park - Homosassa Springs is just far enough from the glitzy world of theme parks. It is a different world where you can explore the "real Florida." You'll call this a great discovery. Honeymoon Island State Park - This barrier island beach destination has the feeling of isolation with easy access and convenient facilities. Lowry Park Zoo - Tampa's Lowry Park Zoo is a good value when you buy an annual zoo pass, providing not only a year's worth of unlimited visits but also free or discounted admission to over 150 zoos and aquariums nationwide. Ringling Museums, Sarasota - Run away to Sarasota and the greatest show on earth: the Ringling Art Museum and Museum of the Circus. Skyway Fishing Pier State Park, St. Petersburg/Bradenton - This park offers some of the best fishing along Florida's West Coast and amazing views of the Skyway Bridge that links St. Petersburg and the Bradenton/Sarasota area. Tarpon Springs - Internationally recognized as the "Sponge Capital of the World," visitors can shop, dine, cruise down the Anclote River to the Gulf of Mexico, and go deep-sea fishing. Ybor City Museum State Park, Tampa - Located in the heart of Tampa's historic Ybor City in the old Ferlita Bakery building, this park's daily tours include one of the restored "casitas" where cigar workers lived with their families. Amelia Island Museum of History - This museum showcases some 4,000 years of Florida history and offers walking tours of Historic Downtown Fernandina Beach. Amelia River Cruises - The cruises include narrated tours of Amelia's scenic waterways. Historic Fort Clinch, Amelia Island - A visit to Amelia Island isn't complete without a tour of the historic Fort Clinch, located within Fort Clinch State Park. During your tour, you may be greeted and admonished by a Union soldier who will educate you on the day-to-day realities of his life. He'll offer a very unique and entertaining glimpse into 1864. Pensacola Scenic Bluffs Highway - The first highway in the state to earn the Florida Scenic Highway designation is packed with historic significance. St. Augustine Lighthouse and Museum - Climb the 165-foot tower and examine the artifacts in the maritime museum. Stephen Foster Folk Culture Center State Park, White Springs - Situated on the banks of the Suwannee River and paying tribute to the great American composer Stephen Foster (whose song by the same name is Florida's state song), the park's museum honors the man and his songs. The 97-bell carillon plays his music throughout the day. National Museum of Naval Aviation, Pensacola - Located in Florida's Panhandle, the National Museum of Naval Aviation is one of the largest air and space museums in the world.